No saddle is perfect. The perfect saddle, as the public looks at it, is the saddle that fits everybody. It will never be made, for people are different. The true wisdom of saddle buying is to get one that will fit you. 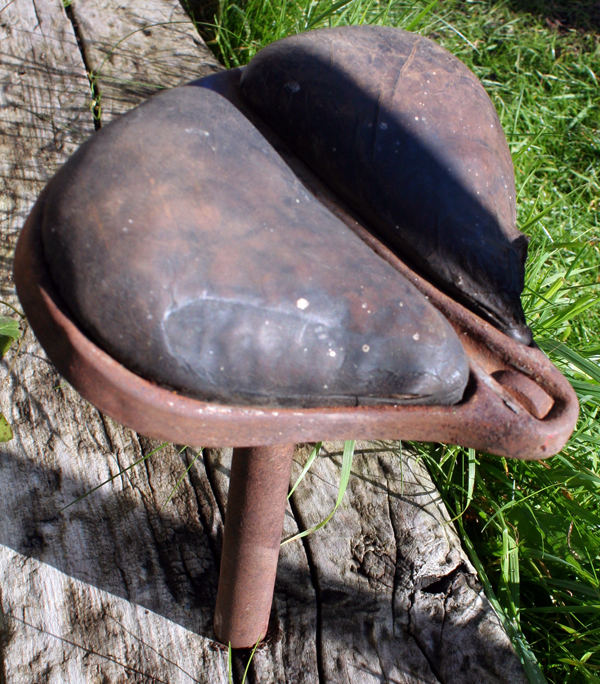 Choose a saddle as you choose a pair of shoes. Wrong shoes cause corns. 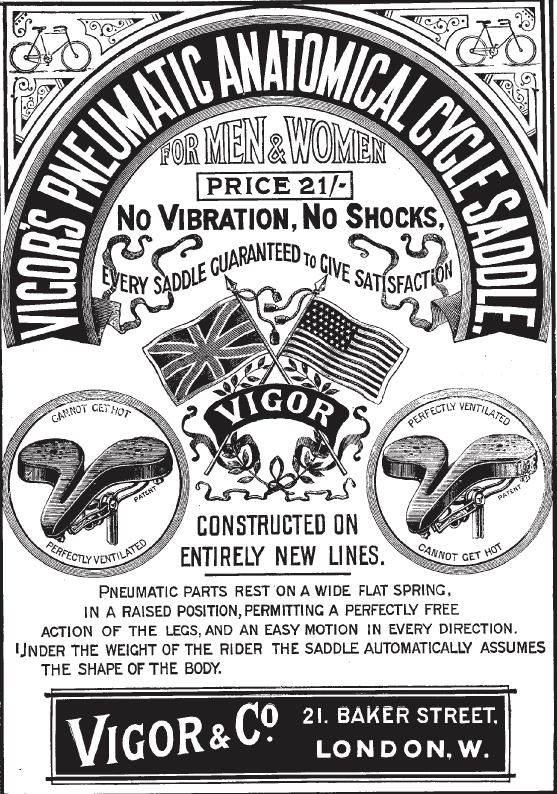 So do wrong saddles. Saddle corns are decidedly uncomfortable. 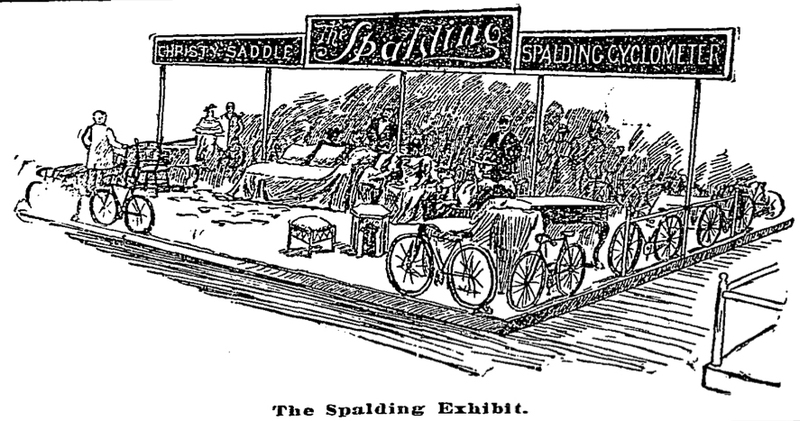 During the season of 1898 the rider will, more than ever before, be allowed the privilege of stipulating the make of saddle he will have furnished on the cycle he buys, because competition in the cycle trade has reached such a stage that only cycles with exceptional advantages in the way of equipment will sell easily. 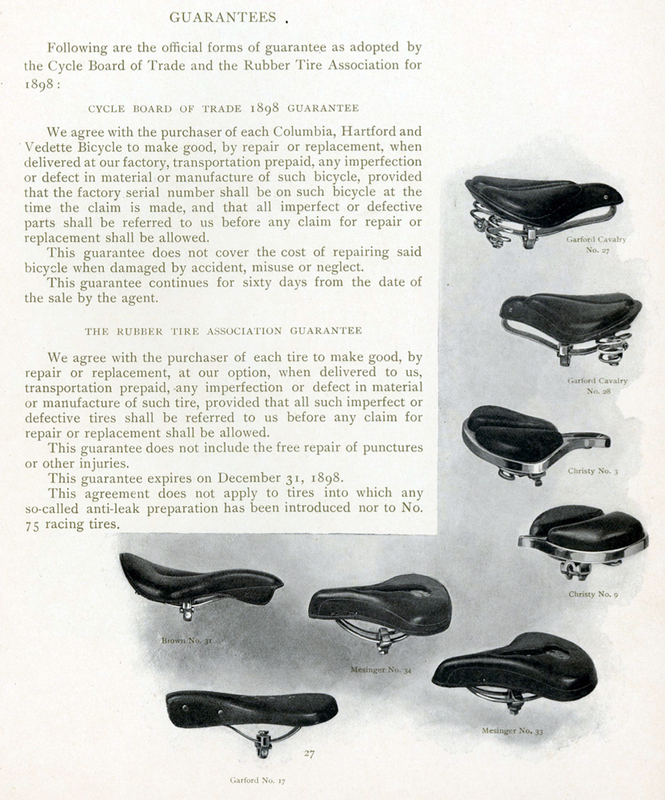 With a reduction in the price of bicycles has come a reduction in the price of saddles, so that at present the difference between saddles of recognized merit and inferior imitations is not so great as the difference in actual value. Over a century later, the main consideration before you mount a bicycle of the 1890s is whether the leather top is strong enough to take your weight. 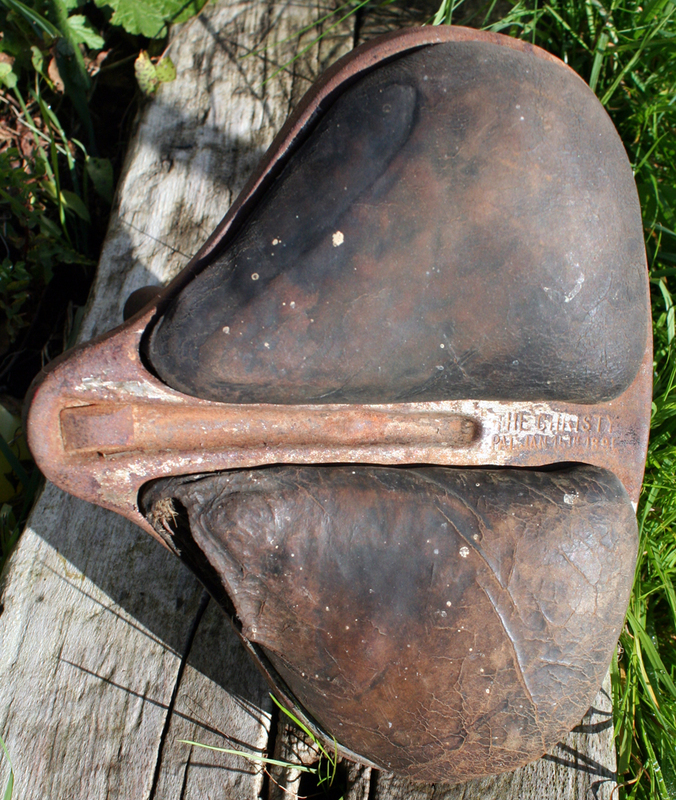 I’ve paid a lot of money for original saddles before but unfortunately snapped the leather in half when riding them. 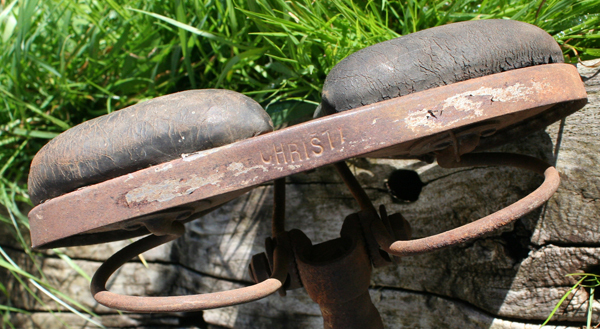 So the choice nowadays on a vintage bicycle is whether the saddle is for show or for riding. Unless the leather is in exceptional condition for its age, a replacement top is necessary if the bike is to be used. Given this priority, we may overlook the choices that faced the bicycle customer of the time. 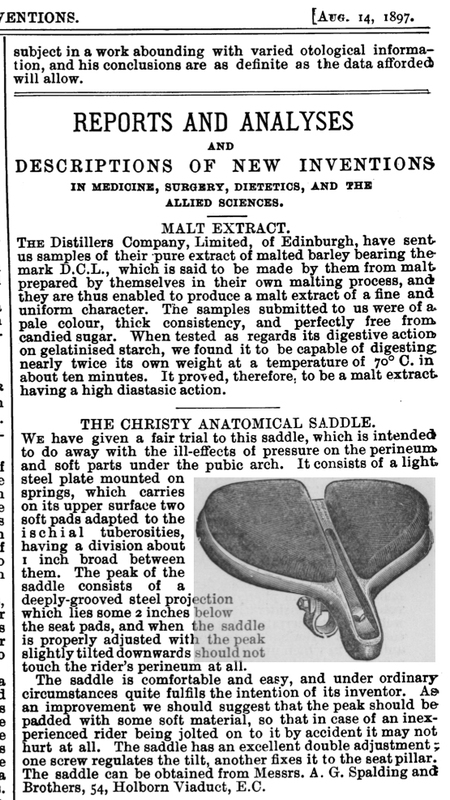 By 1898, the anatomical saddle had been introduced, to much fanfare and ‘scientific’ pontification – bear in mind that, in this period, ‘science’ was new and ‘scientific evidence’ was often used to back up specious sales gimmicks. 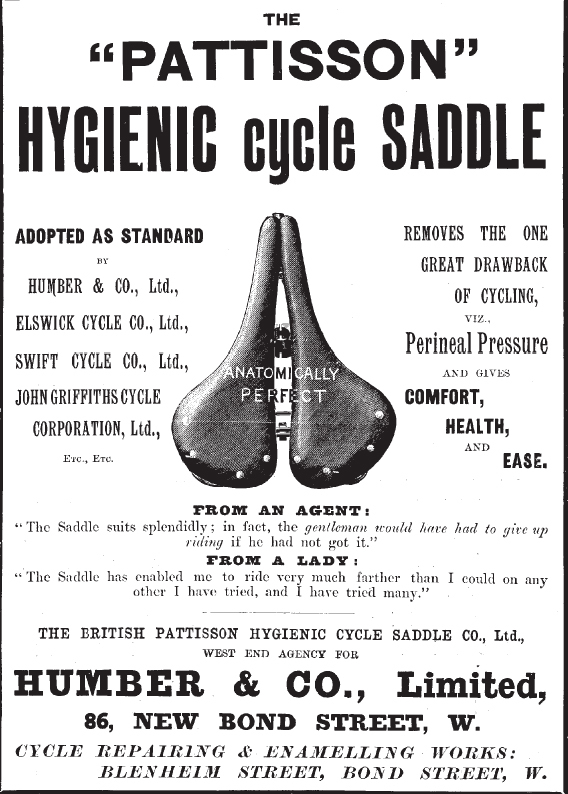 The anatomical saddle was designed so women would avoid clitoral stimulation while riding bicycles. 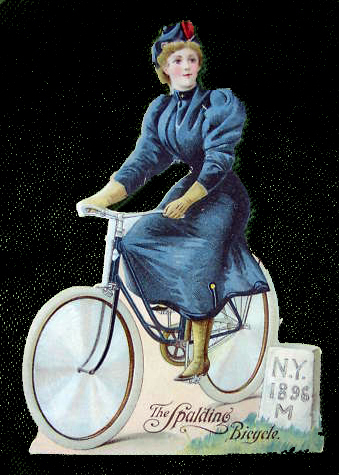 For the same reason, it was considered louche for women to ride leaning over the bicycle, an upright position being the ‘correct’ etiquette. 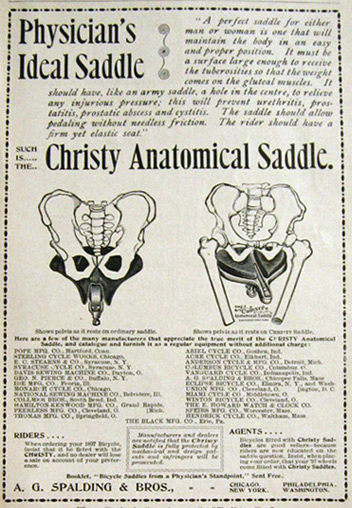 The result of the anatomical saddle on the cycle trade was more choice for the public and therefore increased competition. 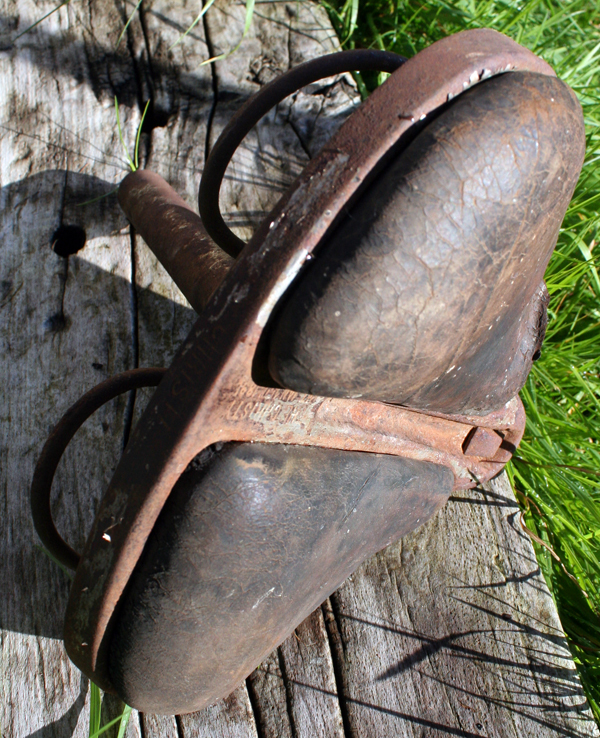 So within a few years saddle design evolved and these ‘dinosaur’ saddles gave way to the saddle as we know it today.